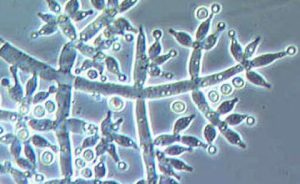 Trichoderma harzianum are microscopic fungi found in all soils. They are particularly useful microorganisms and are added to soils in the form of biofertilizers. There are a number of different Trichoderma species, including Trichoderma Harzianum. Using biofertilizers enhances soils and increases their productivity. Biofertilizers are especially useful in overworked, over fertilized, or worn out soils. There are a number of reasons for these benefits. Trichoderma harzianum is known to colonize the roots of plants and provide plant growth promotion. Some strains help establish robust and long lasting colonization of root surfaces penetrating into the epidermis. This colonization by Trichoderma harzianum can help enhance root growth development, crop productivity and resistance to abiotic stresses through enhancement of mineral absorption.